In the silent film era, musicians stepped in to fill the void, playing live music to underscore movies being shown in theaters. 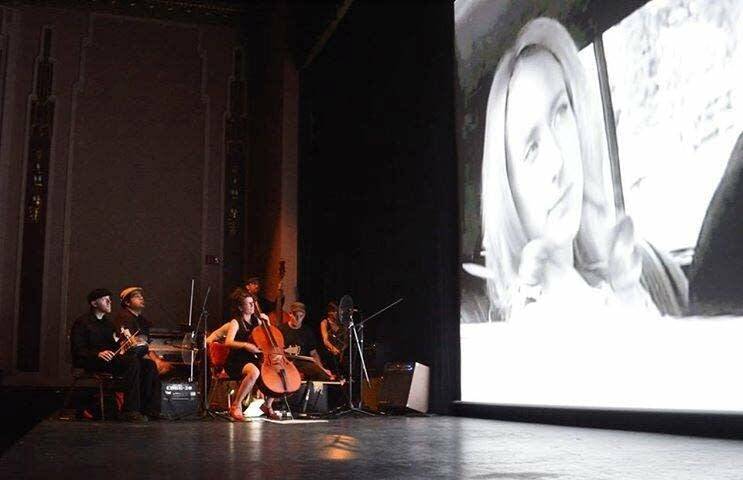 In recent years, the idea of performing live music to accompany films has made a comeback. This is especially true in Minnesota, where many artists regularly play music to accompany silent films, bringing new riches to material that's been around longer than most of us have been alive. Here is a list of five notable artists who have done so whether independently or with festivals such as the Trylon Microcinema's Silent Film Festival. In 2011 Dark Dark Dark performed an original score to Fritz Lang's film Spies for the Walker. It was a unique experience that brought in more than 40 musicians, singers, and dancers. Most recently they scored (and starred in) the film Flood Tide and continue to nurture a cinematic aesthetic, with fittingly ambitious music videos. Andy McCormick and Karen Majewicz are well known for their unique blend of instruments including musical saw, pump organ, accordion, double bass, and piano. They have composed scores for over 50 silent films including The Lodger, collaborating in that case with the Poor Nobodys. They've also worked on films by Buster Keaton and Lon Chaney, as well as the classic Vampyr. Look for upcoming shows in December and January, when the group will accompany the films Spite Marriage by Buster Keaton and South: Ernest Shackleton and the Endurance Expedition. According to their Bandcamp page, Fate's Palette "is a dark chamber rock band from Minneapolis, MN. As much a conceptualization of art as it is a band, they strive to blend together many different ideas and mediums into a cohesive experience. Fate's Palette does not just write conceptual music but is itself a concept: taking static, yet moving images, and injecting a new life and purpose into them." Their impressive work for Murnau's classic Nosferatu was a highlight of this year's Trylon Silent Film Festival, and their first foray into silent film scoring. May it prove to be a new beginning for a band with great riches to share. This local act performed their impressive score to Metropolis at the Trylon this past year and you can find it streaming on their site. While this film has been interpreted by many musicians over the years, the Fugitive version is a testament to this group's quality, with rich ideas bringing the film to life once again. Film is a big part of this band's identity, having composed music for original films as well as older classics such as Night of the Living Dead, The Black Pirate, and Hitchcock's film The Lodger. With their rich organic palette for instrumentation, their work is akin to the films they have reimagined and they keep the tradition moving forward with unique interpretations of films we think we know.